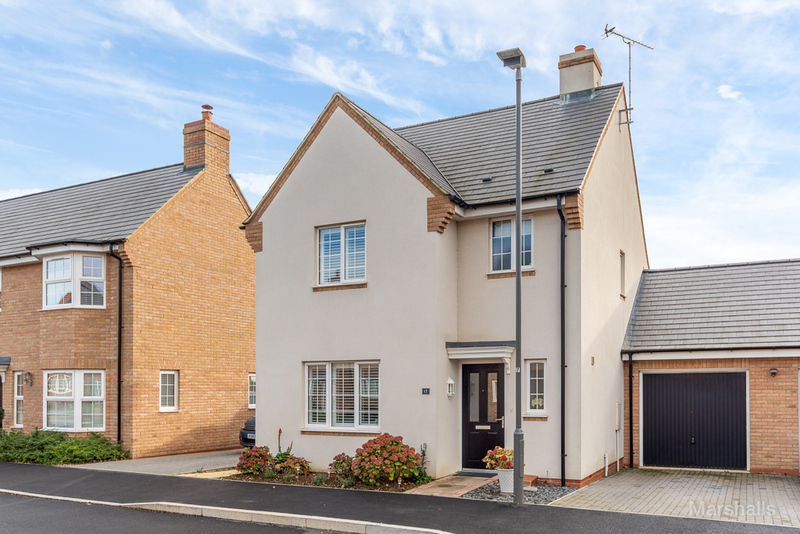 Marshalls Estate Agents are delighted to present for sale, this very well presented and extended family home in the desirable market town of Buckingham. 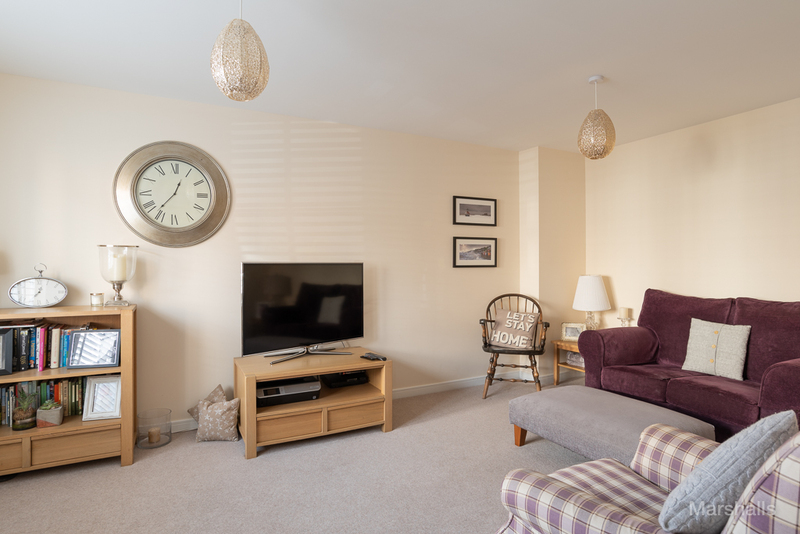 Within a few minutes walking distance from country fields and Buckingham Rugby Club, the location is superb for walks and leisure time. 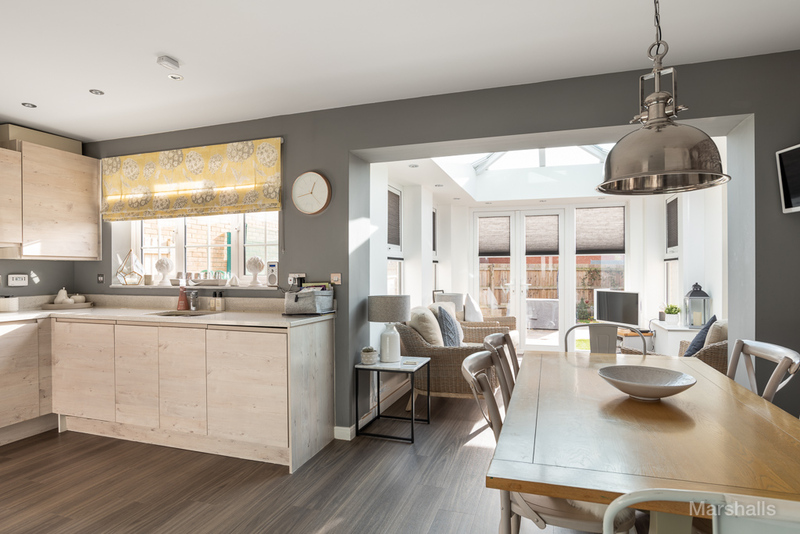 Access to the A422 is convenient, with Milton Keynes just 20 minutes away. 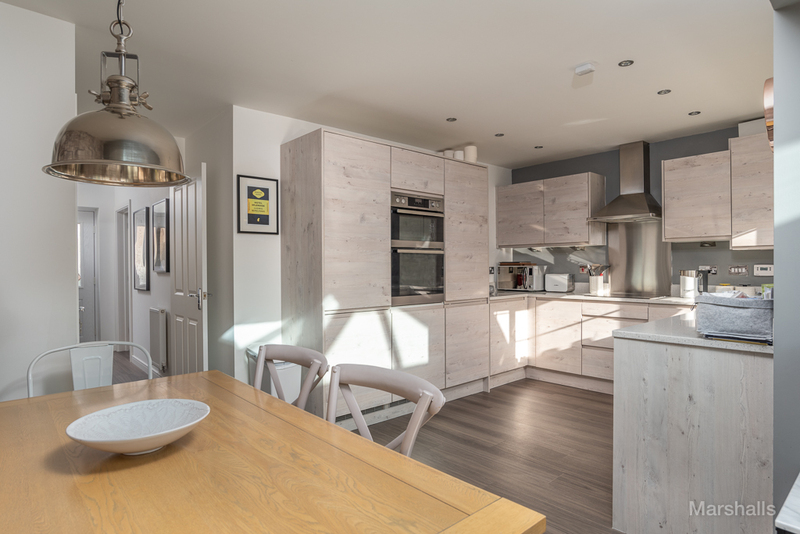 The property includes: solar panel, granite worktop to kitchen units, en suite, downstairs cloakroom and three bedrooms. 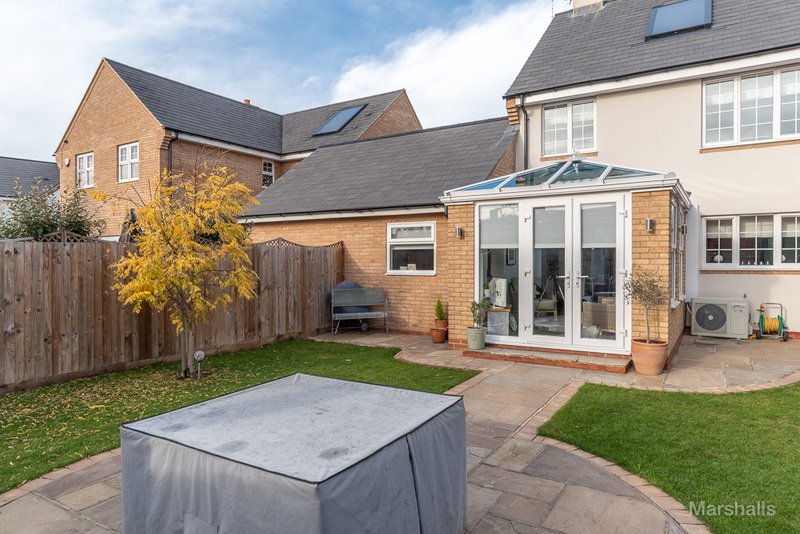 This family home falls within the desirable Royal Latin Grammar School catchment area. FRONT GARDEN: Various shrubs and flowers. ENTRY: Via composite door with double glazed inserts. 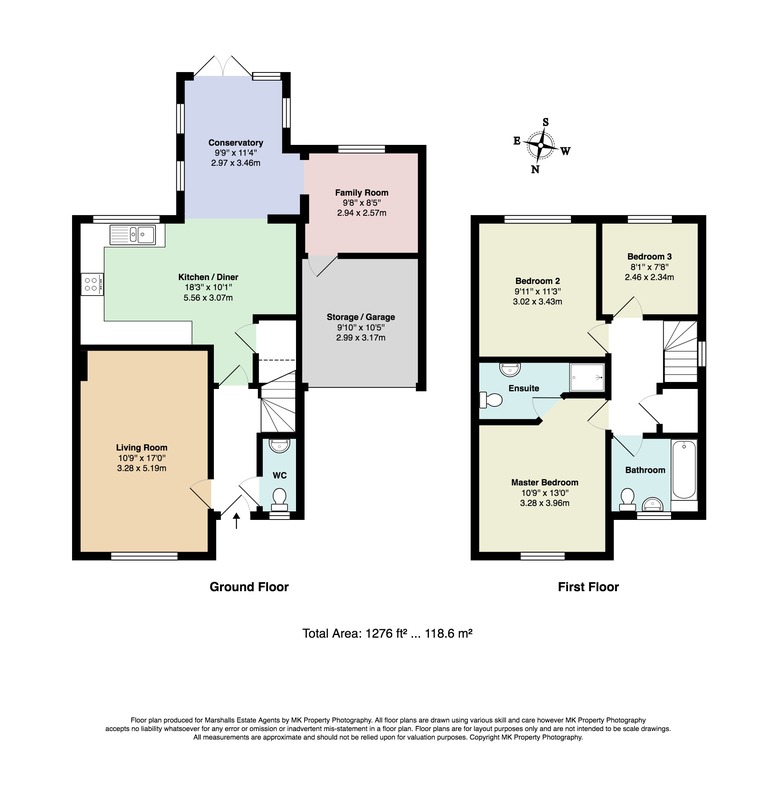 ENTRANCE HALL: Inset spotlights, radiator, telephone point, stairs rising to first floor, doors to: lounge, cloakroom, kitchen/diner, telephone point, laminate flooring. 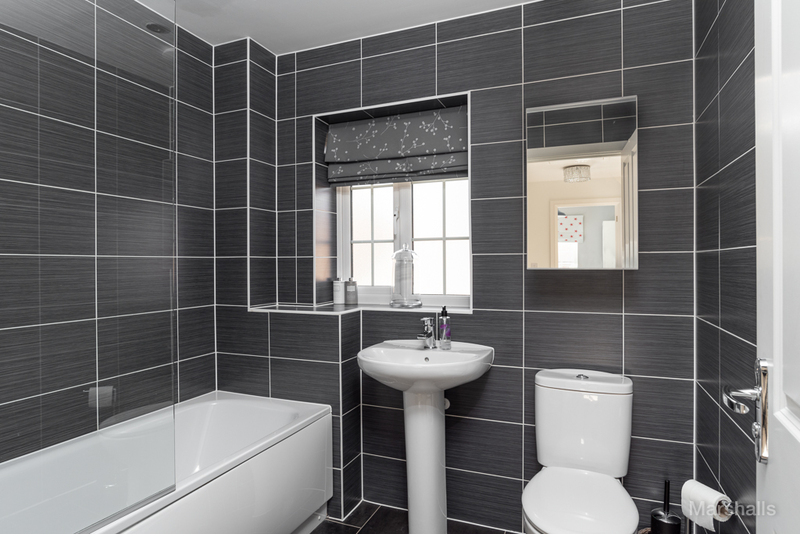 CLOAKROOM: Ceiling light, extractor fan, UPVC double glazed window to front aspect, fitted with a two piece suite comprising of a low level WC and a pedestal hand wash basin, splash back tiling, radiator. 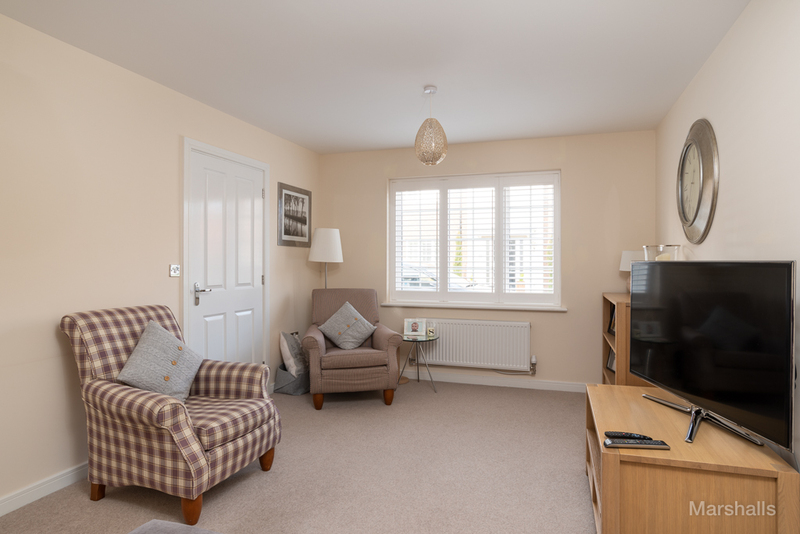 LOUNGE 5.19m (17') x 3.31m (10'10): Two ceiling lights, UPVC double glazed window to front aspect complemented with fitted shutters, radiator, television point. KITCHEN/DINER 5.63m (18'3) x 3.00m (9'9): Inset spotlights and ceiling light, UPVC double glazed window to rear aspect, fitted with a range of wall and base mounted units with granite work surfaces over, one and a half bowl stainless steel sink unit with mixer tap, four ring ceramic hob with extractor over, built-in fridge freezer, built-in double electric oven and grill, built-in washing machine and dishwasher, wall mounted boiler, storage cupboard, laminate flooring, opened to family area. 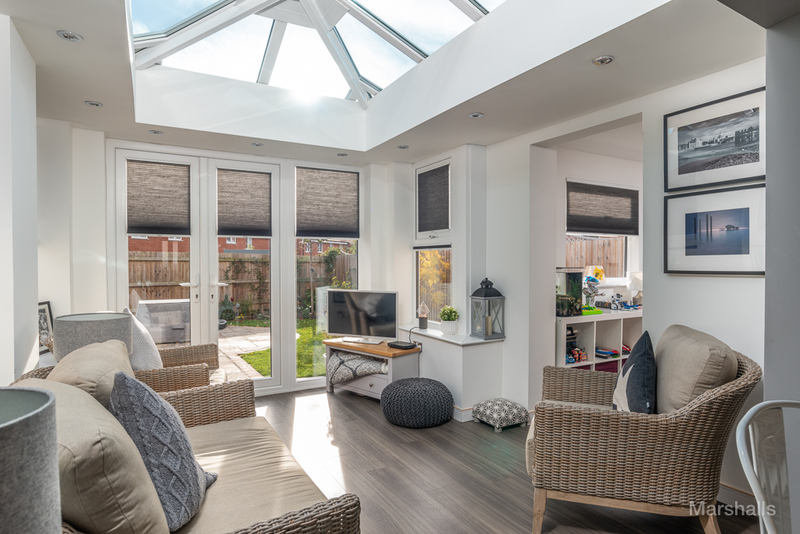 FAMILY AREA 3.28m (10'9) x 3.01m (9'10): Inset spotlights, Air conditioning unit, UPVC double glazed windows to rear and side aspects, UPVC double glazed doors to rear aspect, radiator, television point, laminate flooring, through to play room/study. 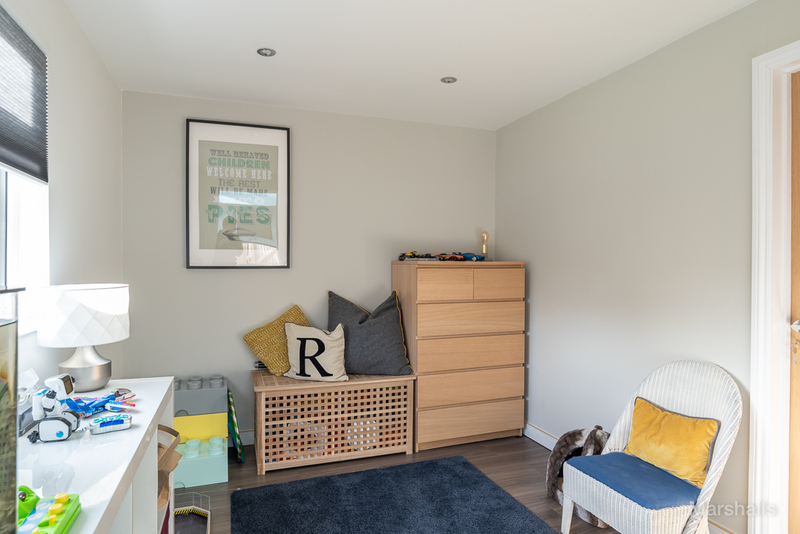 PLAY ROOM/STUDY 3.00m (9'8) x 2.60m (8'5): Inset spotlights, UPVC double glazed window to rear aspect, radiator, laminate flooring, door to garage. 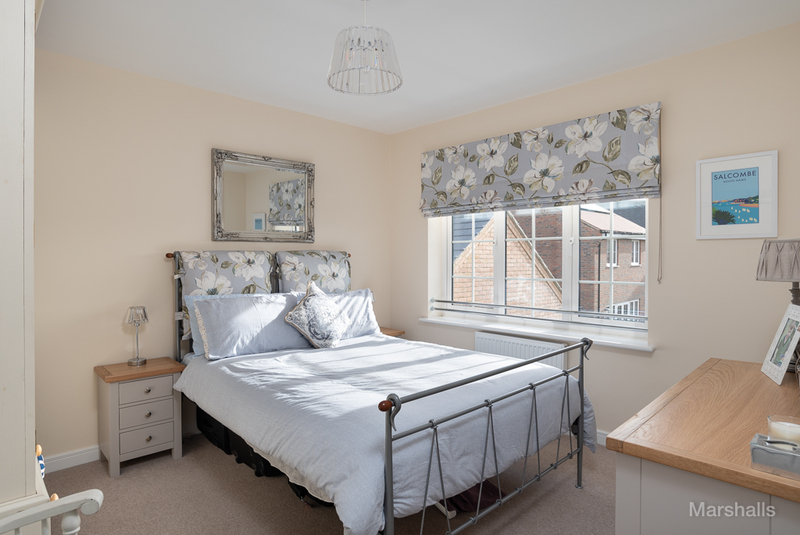 LANDING: Ceiling light, UPVC double glazed window to side aspect, loft access, radiator, airing cupboard, doors to all bedrooms and family bathroom. BEDROOM ONE 4.00m (12'11) x 3.29m (10'9): Ceiling light, UPVC double glazed windows to front aspect complemented with fitted shutters, door to en-suite. 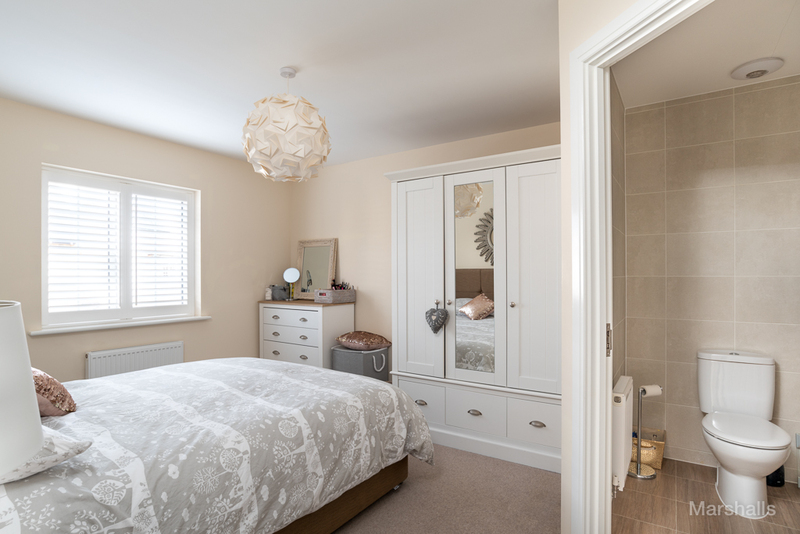 EN-SUITE: Ceiling light and inset spotlight, extractor fan, fitted with a three piece suite comprising: low level WC, pedestal hand wash basin with mixer tap, shower cubicle, fully tiled walls, ceramic tiled floor, radiator. BEDROOM TWO 3.44m (11'3) x 3.02m (9'11): Ceiling light, UPVC double glazed window to rear aspect, radiator. BEDROOM THREE 2.48m (8'1) x 2.38m (7'9): Ceiling light, UPVC double glazed window to rear aspect, radiator. FAMLY BATHROOM: Inset ceiling spot lights, extractor, UPVC double glazed window to front aspect, fitted with a three piece suite comprising: low level WC, pedestal hand wash basin with mixer tap, panelled bath with mixer tap and shower unit over radiator, fully tiled walls, ceramic tiled floor. GARAGE: Partly converted, up and over door. 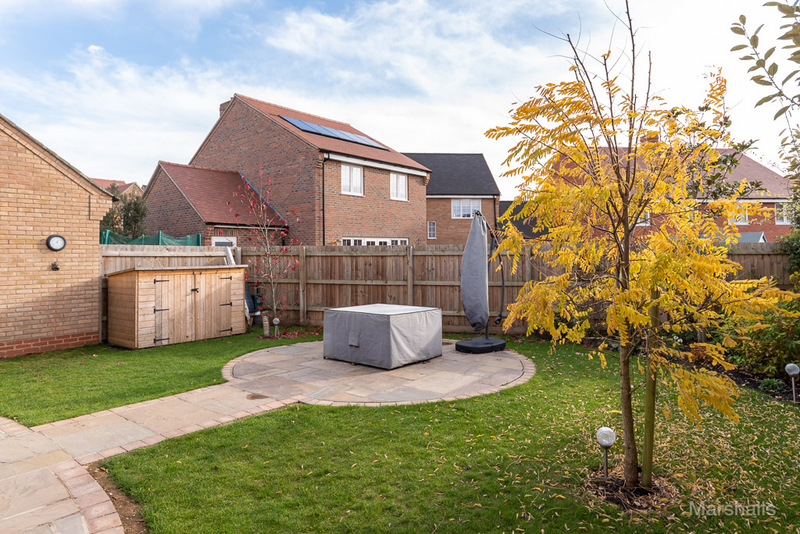 REAR GARDEN: Patio area, remainder laid to lawn, all enclosed by wood panelled fencing, gated access to side, various trees, shrubs and plants, outside tap and lights.